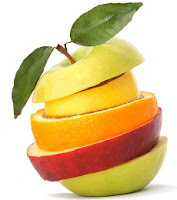 Fruits and vegetables come in can be used to reduce pain and the time comes months ahead of schedule in the current period has come, we usually start to feel weak and dizzy, and a little pain in the abdomen at the bottom, or a lazy move, the body feel weak and rapid fatigue, weight gain, acne, sore waist. These signs you are experiencing PMS, premenstrual syndrome alias. Eat fruits that contain vitamin C and to strengthen the immune system, then you should add foods containing calcium and vitamin C. Besides citrus, pineapple, mango, or papaya, there are sources of vitamin C in strawberry, broccoli, watermelon, cauliflower, cabbage, and tomatoes. Adding fiber consumption. Fiber from vegetables and fruits can help reduce PMS complaints. Bananas, for example, contains vitamin B6, which can reduce the symptoms of PMS such as breast tension, water retention, and mood swings. While the pineapple is rich in vitamins A, B, and C, and manganese. This mineral has been shown to improve mood and reduce water retention, so you are free from the problem of flatulence. Reduce savory foods. Better to avoid foods that are savory or salty, like french fries, beans, or other spicy foods. this is due to high salt content in the body will speed up the process of releasing excess water in the body, so the body feels weak. Increase drinking water. Avoid drinking too much sugar, caffeine, chocolate, and ice. Cold conditions in the body is not good for blood flow. Should drink warm water to increase blood flow. Eating iron. During menstruation, we lost 12-15 mg of iron elements. Therefore, when you need to take vitamins menstrual blood booster. In addition to taking vitamins, you can meet the need for iron by eating foods that contain iron. Some foods that contain iron are beef, mutton, chicken, fish, tuna, eggs, oatmeal, and other green vegetables.